Detailed turret rotates 360 degrees and includes poseable main gun, anti-aircraft machine gun, spotlight, commander and gunner hatches. Hull details include: HVSS (horizontal volute spring system), bow machine gun, opening hatches, tools (shovel, hatchet), tail light assemblies, rear access doors and exhaust deflector. U.S. insignia decals and printed step by step building instructions. Includes U.S. 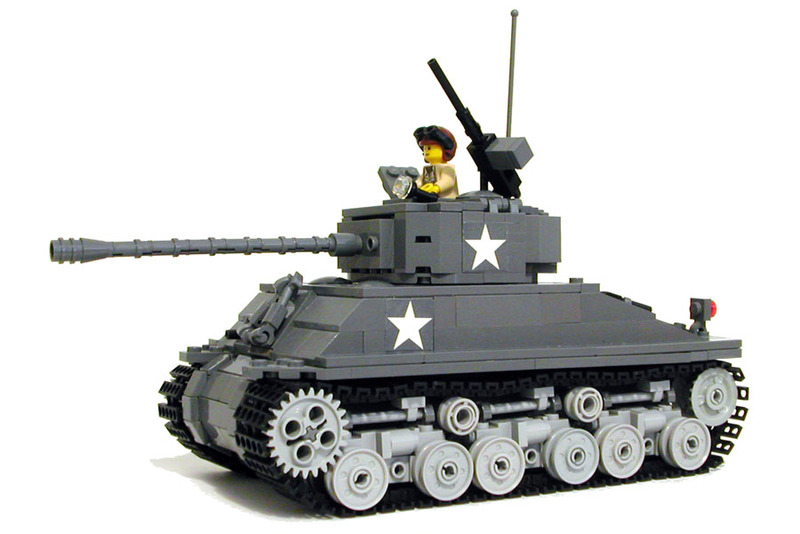 Tank Commander minifigure.